To be an Olympian, you need stamina, drive and a will to win. But to survive what Olympic athlete Louis Zamperini did during his lifetime, you need those qualities plus an unbreakable spirit. 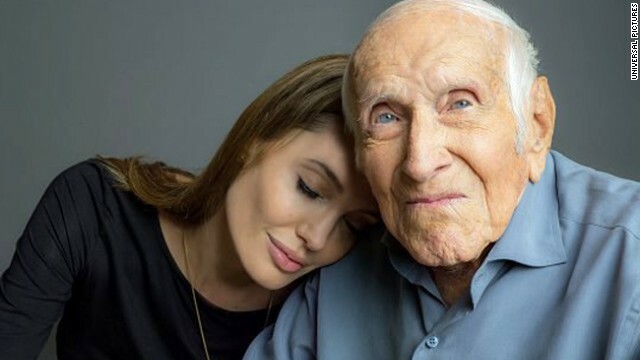 That unbeatable attitude is what Angelina Jolie is trying to capture in her upcoming film "Unbroken," the trailer for which debuted on Sunday. Jolie, who's directing the feature from Laura Hillenbrand's best-selling book of the same name, enlisted Jack O'Connell and Garrett Hedlund to help portray Zamperini and John Fitzgerald on screen, and tapped Joel and Ethan Coen to tackle the script. The preview clip, specially tailored to air during the Winter Olympics, shows scenes from "Unbroken"alongside snippets of an interview with the hero, who recounts his journey from mischievous but athletically talented boy to his capture as a World War II POW. With a story as powerfully inspirational as Zamperini's, Jolie knew she was facing a challenge stepping in to direct. "It will be hard to make a film worthy of this great man," the actress and filmmaker has said. "I am deeply honored to have the chance." "Unbroken" arrives in theaters December 25.